So here’s a question for you: what happens when you cross a velociraptor with a xenomorph? Once you’re done grinning from ear to ear at the sheer thought of how awesomely terrifying that concept sounds, I would like to direct your attention to such a man-made killing organism. Enter the Indoraptor, the newest toy from Mattel’s merchandise for Universal’s Jurassic World: Fallen Kingdom. 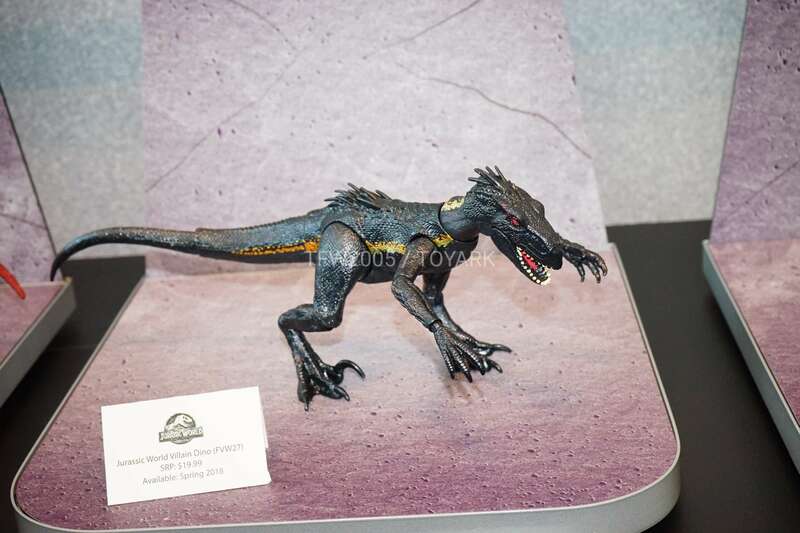 Reported by ToyArk, the genetically modified velociraptor possesses enormous claws, jet black skin, lightning yellow stripes, and (surprisingly) matching, curved black feathers. As the name implies, and as alluded to in Jurrasic World by Vic Hoskins (Vincent D’Onofrio’s character) the indoraptor is similar to the indominous rex in its menacing design, but much more “compact.” Imagine that, an indominous rex, but immensely more agile and camouflaged. How exactly the indoraptor will fit into the plot of Fallen Kingdom is still up to speculation, but whatever snatched the guard in front of Owen (Chris Pratt) and Claire (Bryce Howard) at the end of the second trailer certainly fits a similar description to this potential murder-lizard. If audiences don’t find out how exactly indoraptor fits into the plot of Jurassic World: Fallen Kingdom, then the chance may resurface in Jurassic World 3 (working title). No, seriously, the movie has already been officially confirmed on all Jurassic World social media. Dinosaur enthusiasts and sci-fi die-hards alike can expect Fallen Kingdom’s sequel to be released in theaters by June 11, 2021. The film seems to be in good hands with the script being written by Emily Carmichael and Colin Trevorrow (Jurassic World’s director). Albeit a little early to confirm the sequel, reception of the announcement across Jurassic World social media has been in majority positive. Hopefully, both writers will continue with the murderous-GMO-dinosaurs trope, and the next “indo-,” dinosaur design in Jurassic World 3 will just be a gun with claws.